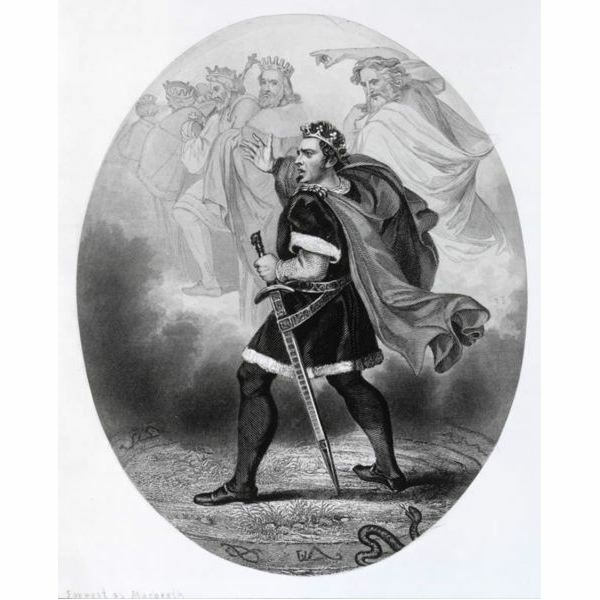 Macbeth – As the play begins, Macbeth, thane of Glamis, has achieved a great victory for Scotland and is rewarded by the King with a new title, thane of Cawdor, and riches. As he returns from battle, he and Banquo pass three witches who prophesy that Macbeth will become king and Banquo will become the ancestors of kings. The prophecy goads Macbeth, with some help from his wife, to murder the king, a crime for which Macbeth is racked with guilt. The guilt, however, is short lived as Macbeth takes control of the situation and becomes king. Once king, neither Macbeth nor his wife are able to relax and Macbeth commits further murders with ease. He fears Banquo and has him murdered. The witches inform him to beware Macduff and he has Macduff’s family murdered. Macbeth’s sanity comes into question for the following reasons: (1) he consorts with witches; (2) he sees an imaginary floating dagger before killing Duncan; (3) he sees Banquo’s ghost after murdering Banquo. Lady Macbeth – After hearing the witches’ prophecy, Lady Macbeth immediately plots Duncan’s death. She chides Macbeth when he waivers and scorns his weakness. Her resolve gives way to guilt by the end of the play. 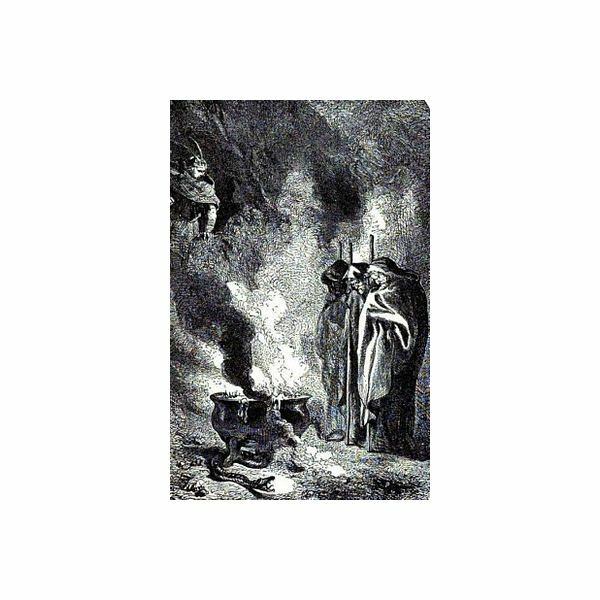 The Three Witches – The three witches, referred to as the Weird Sisters, a derivation of Wyrd, the three mythological weavers of fate in Greek and Norse Mythology, play an integral role in Macbeth’s fate. It is unclear whether the witches simply communicate the future to humans or if their prophecies play upon human weakness and influence men to commit evil. Banquo – Banquo accompanies Macbeth during his first visit from the three witches. His line is prophesied to reign in Scotland. He does not act on his ambition, allowing the prophecy to play itself out. Macbeth sees him as a threat and has Banquo murdered. Malcolm – Duncan’s son is the next in line to the throne. After his father is killed, he flees to England, giving him the appearance of guilt. Donelbain – Malcolm’s brother flees to Ireland after Duncan’s murder. Macduff – A Scottish nobleman, Macduff suspects Macbeth immediately for the murder of the king. He strives to make Malcolm king and leads an army against Macbeth. Fleance – Banquo’s son flees when Banquo is murdered. Fleance’s whereabouts are unknown at the play’s end, but it’s safe to say he returns to rule as prophesied by the three witches. Lady Macduff – Macduff’s wife is critical of her husband for fleeing Scotland and leaving her and her family. She and her entire family is murdered. The Murderers – They are hired by Macbeth to murder Banquo and Macduff’s family. Lennox and Ross – Scottish noblemen.